I had posted the invitations that I had made for Sara and Marc's wedding last month but Sara came back to order more invitations. I got to print the address and return address on these. 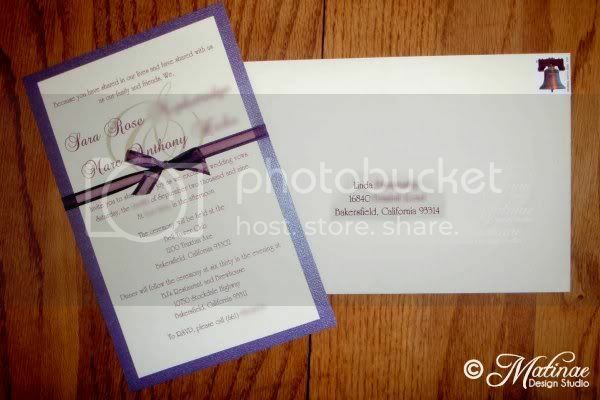 They were both printed in the same simple font that was featured on the invitation but the return address was printed on the back flap of the envelope. I also created a custom guestbook for her. The guestbook pages featured their names and date at the top with ribbon trim that matched the ribbon that was added to her invitations. I designed a monogram for the front of the album and we also included the monogram on the first page. Each page has a picture place holder. Sara will add some of her favorite wedding pictures after their big day in place of the picture holder. 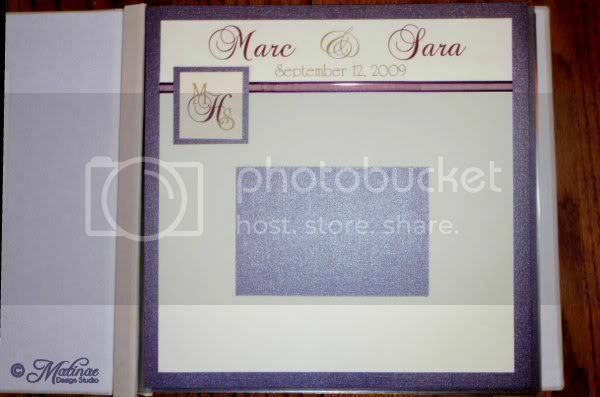 Click here to view the first post featuring Sara and Marc's wedding invitations. This winter, we got the opportunity to design for a unique shoot that Jessica of Jessica Frey Photography was putting together! I can't tell you how excited we were to design for this and finally get the chance to work with her! Jessica has done several fairy tale inspired shoots that are aimed to help brides find modern fairy tale inspiration. Such a cool concept! For this styling, we had the opportunity to design an invitation suite, placecards, a cake topper, menu, and bunting. For the invitation we created a navy metallic gatefold that featured an ornate metallic yellow frame that are laser cut and placed to "frame" the panel. The panel was printed on pearl metallic paper and featured modern silhouettes. A thick satin ribbon adorned with a gold brooch tied around the outside of the invitation. 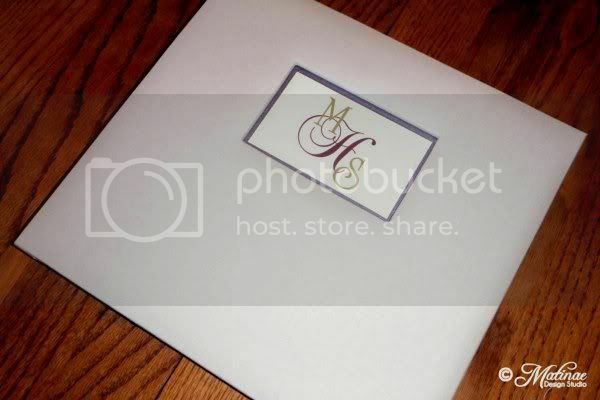 The invitation was then placed in a navy metallic invitation box along with a coordinating response card and inner envelope. For those of you visiting this blog-site, you've probably noticed we've been lacking on posts lately! We have an excuse though, it's because we're re-branding and when we re-launch, we'll be debuting a brand new blog-site!! I'm so excited to share the new site and branding with everyone! In the meantime, our clients have been keeping us very busy! The 2013 wedding season is about to wrap up and we're in the midst of designing holiday party invitations and cards. I always love this time of the year! Over a year ago, I got the chance to design birthday invitations and accessories for an adorable set of twins. During that event, a guest at that party (Melanie) noticed my work and asked or my info so she could get in contact with me about her daughter's 8th birthday. Soon after, we met and realized she actually lived on my same street! As we spoke, she told me that her daughter, Maggi, was born on October 27th and they had always had a Halloween inspired party for her but this year she wanted to put a twist on it. I had just seen an Alice in Wonderland inspired paper line that had just hit the stores and when I showed the paper to Melanie she fell in love with the idea of using the paper as our inspiration and turning Maggi's party into a Alice in Wonderland tea party with a Halloween twist!